Pacific cod are part of the US West Coast commercial non-hake groundfish fishery operating off the coast of California, Oregon and Washington. Pacific cod caught in the US are consumed domestically. 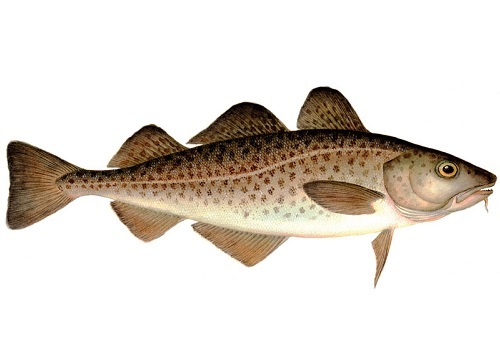 Pacific cod have life history characteristics that make them vulnerable to fishing pressure. Full assessments have not been performed of the population but overfishing is not thought to be occurring. Management is effective and comprises harvest control rules, and incorporation of uncertainty when determining catch limits. Pacific cod are caught incidentally as part of a mixed groundfish fishery. Several of these groundfish are rockfish whose populations are overfished, with a low resilience against fishing pressure. Bottom trawls have the potential to cause habitat damage as they are dragged across the ocean floor. Regulations exist to protect sensitive habitats such as area closures, marine protected areas, and gear restrictions, but the ecosystem impacts of the fishery are not adequately studied. Groundfish in Alaska are caught as part of a multi-species fishery. Out of the 43 species/gear combinations, only 1 was found to be unsustainable: shortspine thornyhead caught by bottom trawl. This species is covered in a separate report. Alaskan groundfish are exported worldwide. Much information is available on stock status, and data indicates that populations are healthy. Management of a multi-species fishery can be challenging. However in this case, management is excellent as regular stock-assessments are performed with up-to-date assessments available, and regulations exist regarding biological reference points, harvest control rules, and incorporation of uncertainty when determining catch limits. Pacific cod are caught are caught as part of a multi-species groundfish fishery in British Columbia. Out of the 68 species/gear combinations, 16 were found to be sustainable. In 2012, BC landed $104.2 million worth of non-hake groundfish. Pacific halibut, sablefish and rockfish account for 83% of the value of the landings. A large proportion of the groundfish are exported to countries including the US, Japan, the UK and Russia. According to recent stock assessment updates, the population health and fishing mortality of many BC groundfish is healthy (although some BC groundfish are still lacking up-to-date stock assessments). There are some uncertainties associated with the interpretation of the data. Management of BC groundfish is moderately effective as management measures such as reference points and harvest control rules exist. However these measures are not applied to all stocks, and are not always supported by scientific research. The Committee on the Status of Endangered Wildlife In Canada (COSEWIC) has identified several groundfish of threatened status, although recovery of these species is challenging given limited data. Fisheries officers are highly effective in enforcing management regulations such as total allowable catch. Vessels are monitored with 100% at-sea, 100% dockside and 100% observer coverage. Bottom trawls have the potential to cause large amounts of habitat damage due to the fact that they drag across the ocean floor. Many of the species targeted by the BC groundfish fishery are found in areas of hard substrate which are more susceptible to damage than areas of soft substrate. In order to mitigate habitat damage, a number of regulations including spatial regulations are in place. For example, no commercial fishing activities are allowed in Rockfish Conservation Areas. Bottom trawls are prohibited in areas where sponge reefs exist. In 2012, additional measures were imposed in order to protect corals and sponges. Recently, trawl vessels have been equipped with midwater trawls. Midwater trawls cause minimal habitat damage as they do not usually make contact with the ocean floor. Atlantic cod have been targeted for 400 years and have a history of being overexploited due to advances in industrial fishing, a decline in environmentally-favourable conditions for cod, and ineffective management by Fisheries and Oceans Canada. Following the collapse of the cod in 1992, a moratorium was put in place for all but the 2J3KL northern stock, an inshore stewardship fishery off the coast of Newfoundland that has been permitted to operate since 2007. Handlining represents only 18% of the cod fishing in the 2J3KL region, with the remainder caught by gillnet. Handlines in this fishery have minimal bycatch and impact on bottom structure and some spatial protection exists in this region to protect sensitive areas. Atlantic cod landings in New England have significantly decreased over the last 4 decades, falling steadily from over 50,000 t/year in the early 1980s, to just over 1,000 t in 2016. From the Georges Bank, Atlantic cod landings totaled 1009 mt in 2016. Cod caught by handline and pole and line is now Not Recommended (a downgrade), due to impacts on the target stocks. Cod caught by set gillnets and set longlines are also Not Recommended and have additional bycatch concerns. Atlantic cod stock in Georges Bank are considered to be seriously depleted, and undergoing overfishing . For handlines, both bycatch and impacts on the habitat are minimal due to the gear type. For gillnets and longlines, species of concern are caught as bycatch – including the critically endangered North Atlantic right whale in gill nets, and vulnerable skate species in longlines. Management is rated moderately effective because some stocks have been rebuilt under a comprehensive recovery plan. Atlantic cod have a history of being severely overfished in Canada, especially with the introduction of improved fishing methods. In the early 1990’s the stock collapsed, leading to a moratorium in 1992. Stocks have not recovered, and the species is classified as endangered by the Committee on the Status of Endangered Wildlife in Canada (COSEWIC). This report covers management areas 3Ps and 3Pn4RS which contribute the majority of the Atlantic cod on the market. The combined total allowable catch of these two management areas in 2011 was 14,725mt. Atlantic cod have life history characteristics that make them highly vulnerable to fishing pressure. The stock status of the Atlantic cod in Canada is of very high concern. The overall abundance of Atlantic cod remains depressed and is designated as an endangered species by COSEWIC. It is thought that current fishing quotas are too high for the stock to recover. As an endangered species under COSEWIC with much cultural and economic value, many regulations exist to manage the stocks as part of the Integrated Fisheries Management Plans (IFMP). The Department of Fisheries and Oceans is responsible for managing stocks based on a precautionary approach. Despite dramatic measures taken to rebuild the stocks after the population crash of the 1990’s, there are concerns that fishing pressure is too high given the fact that stocks have not recovered. Otter trawls, bottom longlines and bottom gillnets are non-selective methods of fishing which cause large amounts of bycatch. Bycatch includes a variety of species of concern such as harbour porpoises, North Atlantic right whales, leatherback turtles, skates, and wolfish amongst others. Otter trawls also have the potential to cause significant damage to the habitat. Since cod and pollock are found in areas with substrates of gravel, rock, or sand, gear damage is limited. Bottom gillnets and bottom longlines cause low levels of damage, although they can become snagged on corals causing breakage. It is possible that the effects of bottom gear in the cod and pollock fisheries are underestimated. The commercial Pacific cod fishery began in Japan around 100 years ago. Overfishing occurred in the mid-1970’s and in 2011, only 45,000 tonnes were landed. Imports of Japanese Pacific cod into the US are negligible at only 2,330 kg compared to the 70 million kg that the US consumes annually. Japan has one of the highest per capita seafood consumption rates in the world and imports significantly more seafood into the country than it exports. Thus, the majority of the Pacific cod caught in Japan is likely consumed within the country. Pacific cod have life history characteristics that make them moderately resilient against fishing pressure. 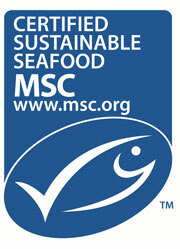 Annual stock assessments are carried out by the Fisheries Research Agency (FRA). Current population status is overfished, and overfishing is still occurring in all 3 management regions of Japan. No catch limits exist to prevent further overfishing of the species. Regulations such as the prohibition of bottom trawling and boat seining in shallow areas to mitigate habitat effects on the seafloor exist. Some restrictions surrounding the use of gillnets in Pacific cod nursing grounds exist. The effectiveness of these measures is uncertain. As an overexploited species, the fishery lacks general management. Many of the fishing methods used in the Pacific cod fishery in Japan are unselective. Data on bycatch is not collected, and there are no management measures exist to reduce bycatch levels. Seines have the potential to affect corals and other bottom-dwelling organisms, gillnets can entangle marine mammals, longlines can cause the drowning of seabirds, and trawl nets affect seabirds and sharks. Trap nets alone cause little bycatch but the impact of the other fishing methods is a serious concern. Information is lacking on the habitat and ecosystem impacts of the Pacific cod fishery. However, bans on bottom trawling and restricted use of Danish seines and gillnets helps to mitigate habitat damage. Pacific cod have historically comprised the largest proportion of the groundfish catches in Russia. Landings increased in the 1980’s and peaked around 1985 at 188,000 tonnes. Exports from Russia to North America are limited due to a recently implemented 5% export tariff, and most Russian Pacific cod are consumed within Russia or exported to East Asia. Pacific cod have life history characteristics that make them moderately resilient against fishing pressure. Much information is lacking on the fishery, although stock abundance is not thought to be critically low according to the most recent stock assessment. Catches have not exceeded set quotas from 2004-2012. The Russian Pacific cod are managed by the Federal Fisheries Agency. Management regulates catch levels, fishing seasons, allowable gear and size restrictions. Level of bycatch mitigation is unknown. Despite the complex management structure, establishment of rules is not transparent, and there is a severe lack of data on the fishery. Many of the fishing methods used in the Pacific cod fishery in Russia are unselective. Data on bycatch is not collected, and there are no management measures exist to reduce bycatch levels. Seines have the potential to affect corals and other bottom-dwelling organisms, gillnets can entangle marine mammals, longlines can cause the drowning of seabirds, and trawl nets affect seabirds and sharks. Trap nets alone cause little bycatch but the impact of the other fishing methods is a serious concern. Information is lacking on the habitat and ecosystem impacts of the Pacific cod fishery. Bottom trawling has the most potential to cause destruction to the habitat by damaging sensitive substrate. North Sea (ICES area IV) and Divisions IIIa,b,c,d.